First time post, long time reader. 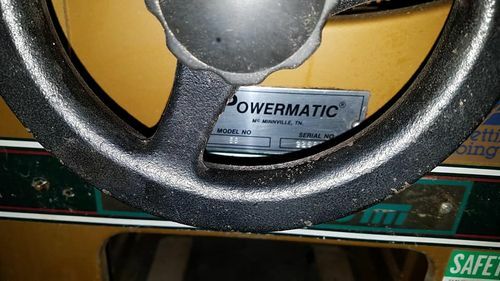 Powermatic model 66 table saw for sale 52” fence 480V 3 phase motor can be rewired to different voltage. . You can hear run and welcome to try it out. 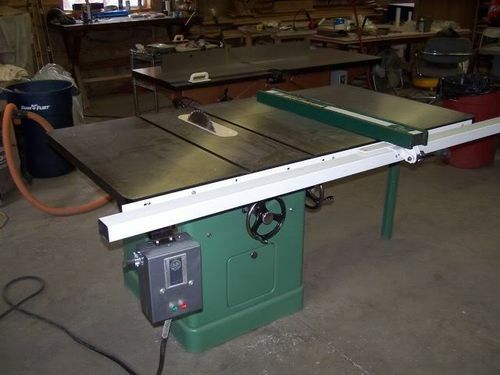 These are one of the best table saws made. $900 or best offer. I have agreed to a tentative price of $750. Considering the missing panels, is it worth it? do you have 3 phase power already? In addition to the VFD or phase converter you should assume you’ll be replacing arbor and motor bearings – that’s not particularly costly or hard, just know what you’re getting yourself into. Also, as an owner of an 80s PM66, I can say, you’re right to be looking at these saws. i love mine. It’s built like a freaking tank, is accurate as hell, and my inner Tim the tool man grunts every time i use it. IMHO, if you’re not spending 4k+ on a new industrial sawstop, there is no better saw. Some would argue there is no better saw in general. I would not be dissuaded from a 3phase b/c most folks actually consider them more stoutly built motors. 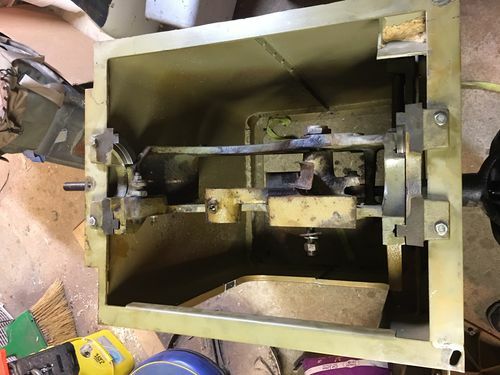 I replaced the bearings on my arbor and motor when i bought it and it was the first time I had done something like that – there are tons of resources online to help guide you. Thank-you Avsmusic1, I agree with your negotiating stagy. He won’t go down any lower anyway. I don’t have 3 phase, and realize that it will be about 100 to 150 for the VFD. He said I could hear it run, so I guess I will find out if he has 3 phase power. Honestly, not having dust collection, I won’t replace the panels directly. 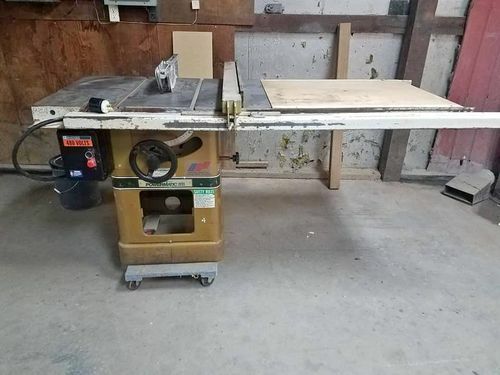 So closer to a grand for a working saw. So the cost is about what I was expecting to spend, but a little high. This is my debate, and why I opened it for discussion. I recently lost a 2002 model, which he was willing to take $800. I took to long to get it, and he found someone to buy his shop, so what are you going to do. 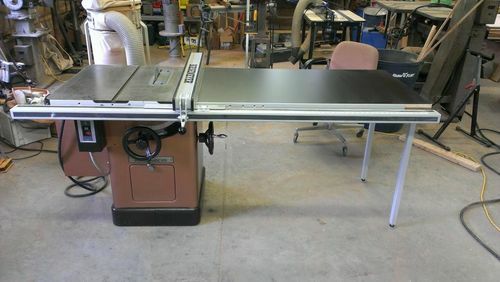 Best 10” cabinet saw you can buy, if it’s in good condition. It’s 27 years old, so you’re looking at spindle and motor bearings as a future, or immediate, problem. They have sealed bearings, which means that the normal grease life, inside the bearings, is worn out, if they are original. Typical sealed bearing life is around 20 years, give or take. Powermatic used good quality bearings. They are about $100 to change for everything. Straightforward job. PM 66’s have the largest interior castings in their class. Their spindle housings, trunnions, and mounting brackets are almost twice the size, and weight, of almost all the other saws in the “10” cabinet saw” class. I’ve owned 4. 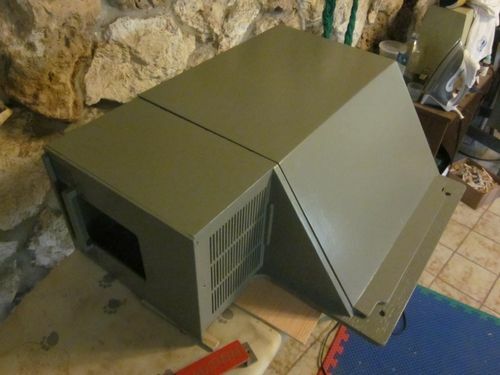 Here’s my latest, which was a full restoration 1985 model that spent it’s previous life cutting aluminum. It was a train wreck. 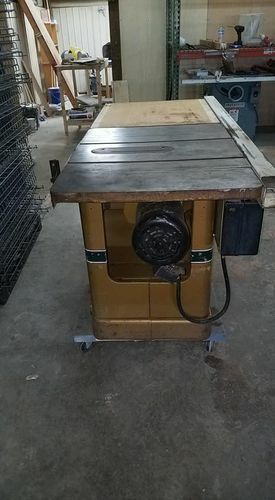 Mine is a 5 hp, 3 phase saw that cuts great and has plenty of power for any work I do. If the saw is in good shape, I’d tell you to go for it. Did you build a box to cover the motor, or is that original? You won’t find a more substantial saw for much less than that. If it suits your needs…I’d say go for it. Those opportunities don’t pop up everyday. Just another option to consider. This is my debate, and why I opened it for discussion. I recently lost a 2002 model, which he was willing to take $800. I took to long to get it, and he found someone to buy his shop, so what are you going to do. It doesn’t help that the closest one I can find is a 3 – 4 hour drive. There have been a few nice Unisaws (restored) at about $800, but they are getting snatched up quick. Looks like I will be going on a road trip tomorrow, and if it is halfway decent I will have a new saw PM 66. Will I try to balance a quarter on the edge of the table while it is running. Yeah I am. Side question: The guy also has a PM 72 or 74 (the 12/14” version) for $2100. Would it be worth the extra grand? It’s undoubtedly a fantastic saw. I don’t think its a particularly good deal, however. The fence and rails look pretty rough. It’s missing a handwheel and the aforementioned covers. 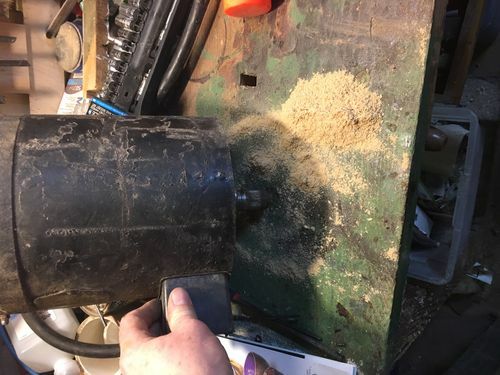 3-phase saws go for quite a bit less than comparable single phase ones, because there are lots of folks who don’t want to deal with the hassle or added expense of a VFD. Not that it’s hard, but it’s a market reality. There’s an auction not far from me where a similar vintage 3PH ‘66 is going for $500 at the moment. Original motor cover that came with the saw. It was off the saw, sitting against the wall, when I picked it up. PM 72’s are sweet saws. I’ve owned a few of those, as well, and restored a 1964 model. It has the full cast iron extension wing. I’m pissed I ever sold it. The same guy who bought it bought 2 other machines from me, so I let it go. He was offering a lot of money, and I succumbed. I regret it now, but I’ll find another one. In my opinion, depending on where you live, $2100 for a 72 is a lot of money. I saw one last week here in the midwest for $800.00. It needed work, but I take them apart completely anyway, so I’d rather get it cheap. The 66 is a fine saw, and most likely all you’ll ever need. You can always upgrade later, but quit waiting. Somebody is going to buy that saw. 2 to 4 hour drives are nothing for a good piece of equipment. 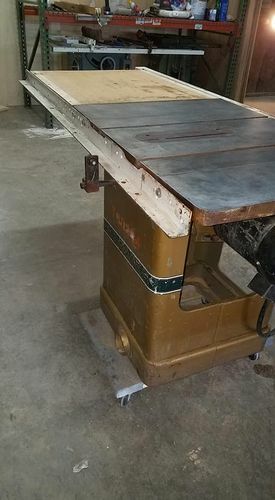 I drove 1600 miles round trip for a neglected 16” jointer, which is now my main shop jointer for the past 5 years. Worth the effort. May be worth shooting them an offer. Much of the same issues as the above saw and perhaps not as good condition but they may be more willing to go low to get rid of it. For better or worse it is mine now. So, it is apart in basement. I am preparing to replace the bearings. They are ordered. The hand wheel is on its way. I decided against the VFD. After much reading an consideration, I was considering the teco E510-210-H3, but had concerns about the specs and using single phase. It isn’t that I don’t like the VFD, or the benefits. It is more that, other than soft start and quick stop, the benefit didn’t out weight the cost (they cost about the same). Really, isn’t a table saw just a spinning blade. I have a VFD on my lathe, and wouldn’t trade it for the world. 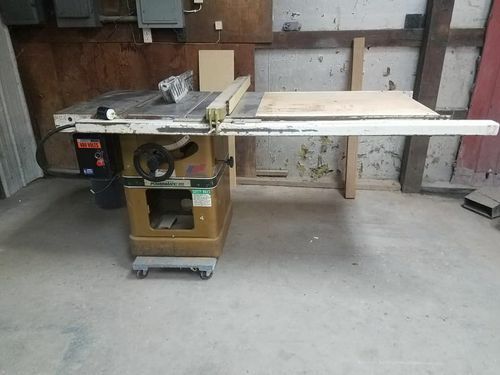 Variable speed isn’t required with a table saw. I have the trunnion cleaned and oiled. The 3 phase motor is apart ready for new bearings. There was a lot of sawdust in there. I plan to replace the bearings even though I won’t be using it. Never know when I may want to build something.